The Maruti Suzuki Dzire and the Honda together sell close to 25000 units a month, a number that is similar to the total sales of India's highest selling car, the Maruti Alto. This segment is growing so rapidly that everyone now wants a share of the pie. Hyundai has been missing from this segment for quite some time now but have finally launched a car that goes against the the Amaze and Dzire head-on. Is the sub 4-metre Korean sedan a better choice than the Japanese stars? 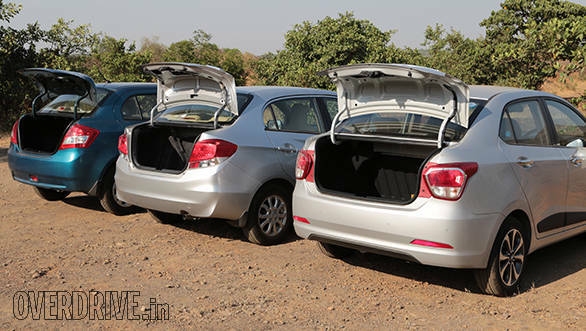 All three cars are essentially booted hatchbacks but the Amaze and Dzire are based on large hatchbacks. 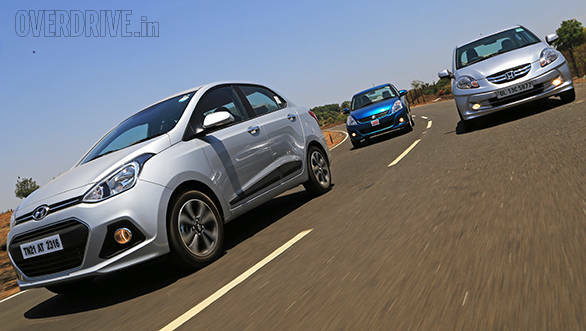 Hyundai had no option but to use the smaller in footprint, Grand i10 as the base model, the larger i20 is not just more expensive but also an older platform. The Amaze is still the most proportionate design of the lot though and is most sedan like, it is the best looker too, especially viewed from the side or back. The Dzire looks imbalanced, the long nose and short tail being the culprits. The Hyundai can be smart to look at from a few angles but it isn't the best looker of the three, the rear end especially is quite bland and boxy while the overall design itself isn't as striking, a contrast when compared to its Hyundai siblings. Also since it's based on the i10, the car isn't as wide as the Amaze or the Dzire and looks noticeably smaller when viewed head on or from the back. Depending on the variants, all three cars feature plain wheels or stylish alloys. We only wish the Amaze featured larger 15-inch wheels with thicker rubber like the Xcent and Dzire top variants. The Honda could have even featured contrasting elements like a blackened front bumper strip like the Brio and waist line moulding but it makes up with a lot more detail like the prominent shoulder lines. The sides of the Dzire are plain and not as appealing while the Xcent, especially the top end variant gets added elements like chrome door handles, thick waist line moulding and diamond cut alloys that add to the premium feel. Step inside and its a different story, the Amaze is the least appealing and looks a segment lower in comparison to the Dzire and the Xcent. The quality of materials is good but then the design is bland and the sense of being seated in in a sedan is never felt. The beige, black and brown colours don't go well together. 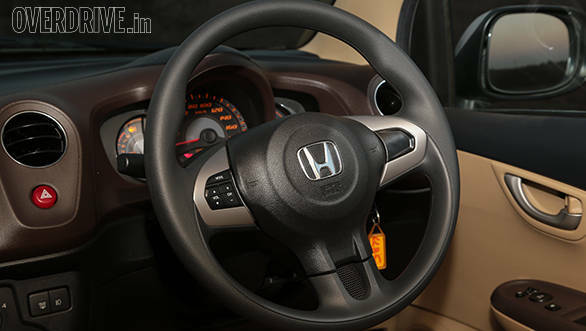 However in terms of comfort and overall space, the Honda outshines the rest. 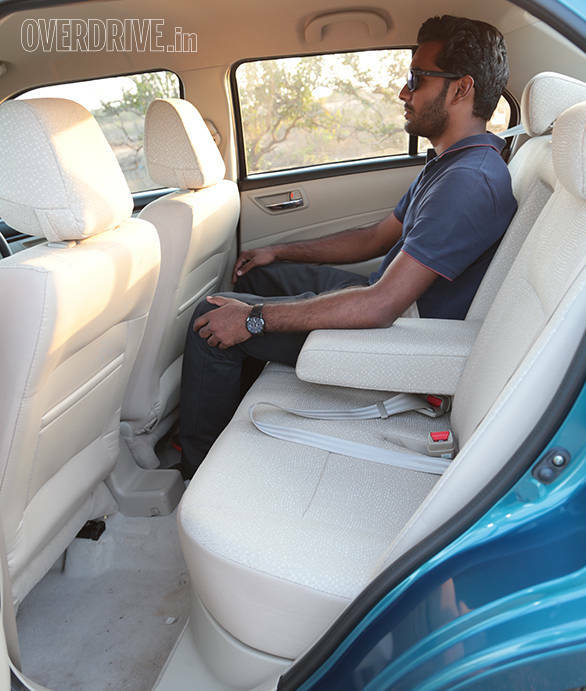 Rear kneeroom is the highest in segment while the rear seat is also more reclined. Boot space on paper is lower than the Xcent by just 7-litres, but its remarkable how much more cabin space the car offers. 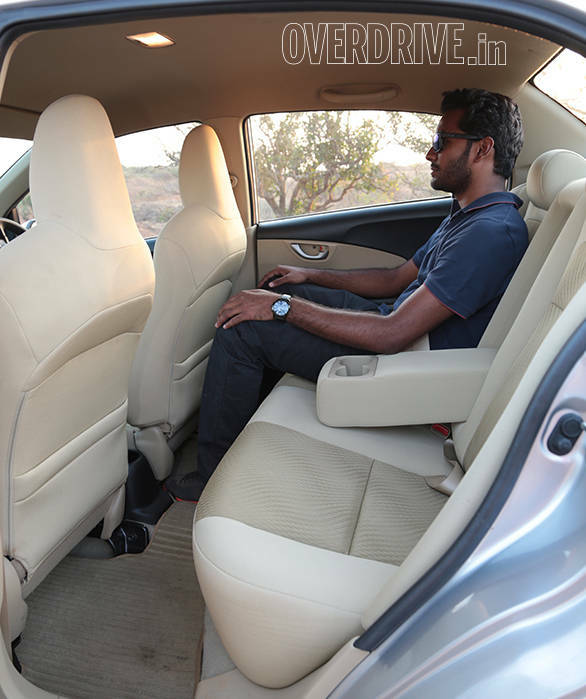 The Dzire's cabin meanwhile is designed well and feels more upmarket, fit and finish is also good but the cabin beyond the driver and passenger side isn't as spacious.Rear kneeroom and boot space is poor, a few hatchbacks offer more space. 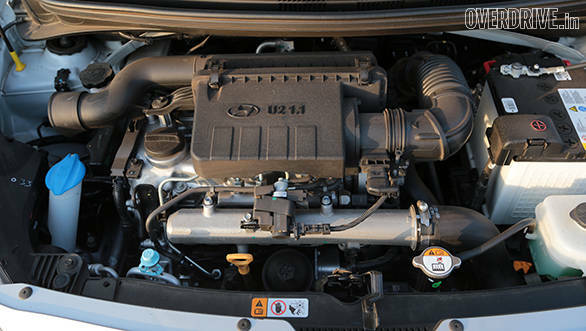 While the Amaze and Dzire feature 1.5-litre and 1.3-litre diesel engines respectively, the Xcent borrows the same three cylinder, 1.1-litre U2 diesel from the Grand i10. How does this smaller engine compare against the rest? Well the Amaze is the most powerful engine of the three, the i-DTEC motor produces 100PS of max power at 3600rpm and 200Nm of torque is on offer from just 1750rpm. 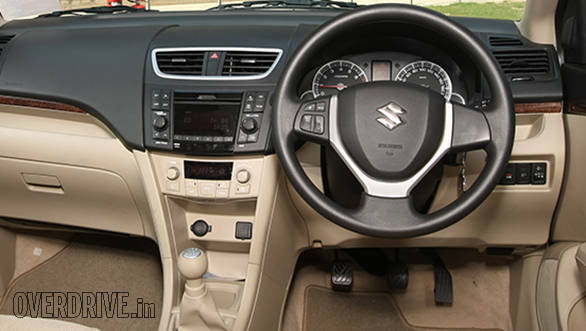 The Dzire produces 75PS at 4000rpm but offers a healthy 190Nm of torque at 2000rpm. The Xcent meanwhile puts out a lower 72PS at 4000rpm and 180Nm of torque between 1750rpm and 2500rpm. 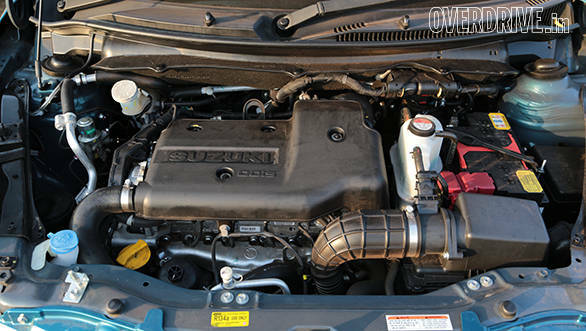 On the road, the Amaze's motor hardly displays any turbo lag and power delivery is very linear. But despite being the most powerful car in its segment, the top speed is restricted to just 140kmph. In terms of fuel efficiency, one would expect the Xcent to top the list but is actually the least efficient. The car returned 14.9kmpl in town and 22.6kmpl on the highway, translating to an overall figure of 16.8kmpl. The Amaze isn't just the most powerful but also the most fuel efficient car in its class, the overall figure being 17.89kmpl, the Dzire is second best returning 17.5kmpl overall. All three cars feature similar suspension setups, a MacPherson unit up front and torsion beam at the rear. However all three are very different from each other when it comes to ride and handling. The Dzire has been the best handling car in this segment and continues to do so. The Swift DNA helps and since the wheelbase is identical to the hatchback, there is hardly any difference in overall feel. The setup is neither stiff nor soft while the steering is precise and not too light, ride quality however isn't the best. The Xcent and Amaze offer a better ride but the Hyundai cabin is better insulated so road noise is lower. All cars display slightly higher body roll but the Xcent is the least involving to drive. Hyundai has taken the effort and added some weight to the steering but it still feels vague, the Honda steering is light especially in town but as speeds increase one expects slightly more weight, however the steering is still more precise while feel is better compared to the Xcent. While there are various trims to choose from, only a few offer standard safety features. The Xcent is available in three trims, Base, S and SX. While the first two trims offer no airbags and ABS, the SX offers standard airbags, ABS is optional even in the S and SX trims. In our opinion, ABS should be standard across all variants,if not at least in the top end trim. 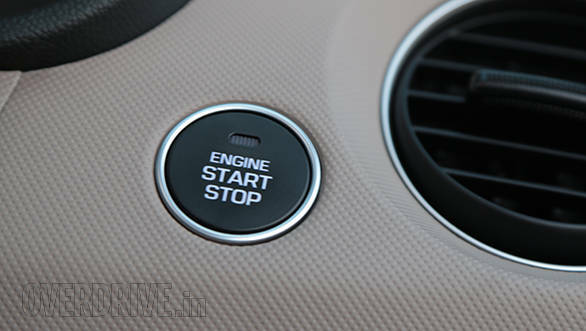 Hyundai instead has focused more on offering comfort features, the Base model offers dual tone interiors, rear armrest with cup holders, front power windows and a multi information instrumentation as standard, the S in addition also offers fog lamps, rear defogger, keyless entry, parking sensors, 2-DIN stereo with Bluetooth, AUX, USB, CD connectivity and steering mounted controls, rear AC vent, rear power outlet, rear power windows and internally adjustable and foldable mirrors.The SX model in addition also offers push button start, alloy wheels, (14inch standard, 15inch optional),chrome handles, leather wrapped steering and gear knob and auto climate control. The Dzire is also available in three trim levels, LDi, VDi and ZDi. 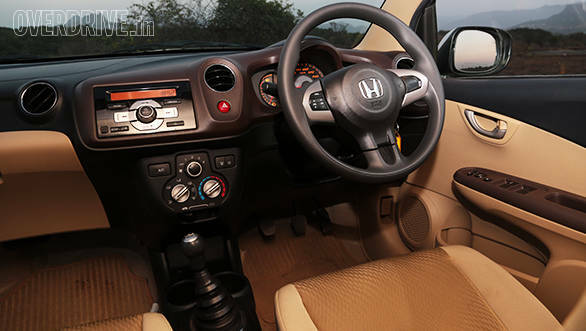 In terms of safety, only the ZDi offers airbags and ABS, the lower models don't even get it as an option. The LDi offers a very basic package and standard multi information display, the VDi comes with standard security alarm system, stereo with USB, AUX and CD input, front and rear fog lamps, electric mirrors and keyless entry. 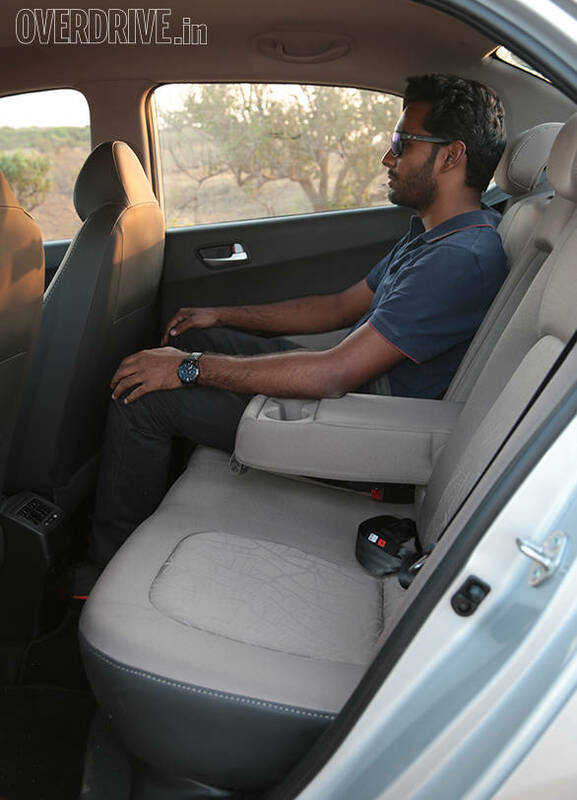 The ZDi in addition offers 15 inch alloy wheels and thicker rubber, climate control AC, driver seat height adjust, steering mounted controls, rear defogger and outside temperature display. 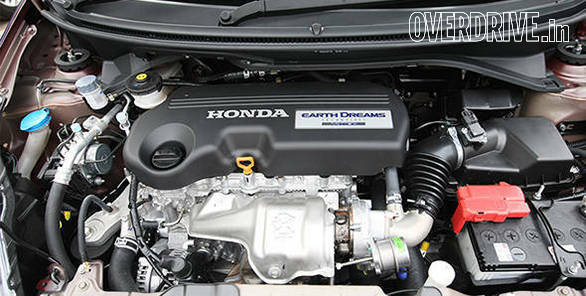 Honda meanwhile offers the Amaze in five trim levels, E, EX, S, SX and VX. In a move that we believe that all manufacturers should follow, Honda has provided all Amaze diesel trims with standard ABS, while the top SX and VX variants offer airbags as well. In terms of comfort features, the E offers front and rear power windows, central locking, tilt steering and an immobiliser as standard. 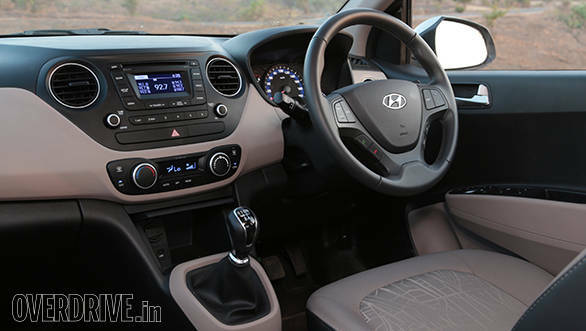 The EX adds a single DIN stereo with front speakers, the S and SX trim get a 2-DIN stereo with AUX and USB support, steering mounted audio controls, driver seat height adjust, rear armrest with cup holders like in the Xcent, keyless entry and electric mirrors. 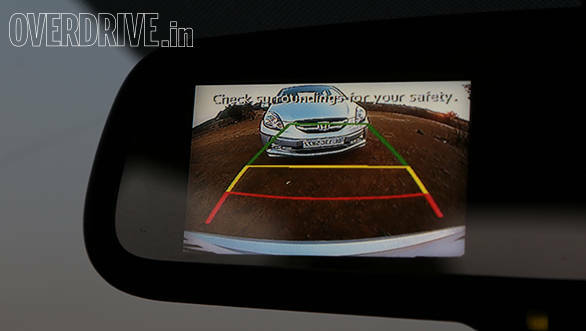 The top end VX in addition gets alloy wheels, power foldable mirrors, dual-tone interiors, fog lamps, rear defogger and a heat absorbing windshield. All three cars have their own strong points but as we've said before a sub 4-metre sedan should feel like a step up from a hatchback. The Dzire is perfect for an individual looking for a car that shines in terms of dynamics, the car is essentially a Swift but then it only offers 112-litres of extra boot space and no extra cabin room, and at a starting price of Rs 6.25 lakh for the Dzire LDi, ex-Mumbai the car is Rs 50000 more expensive than the hatchback. The Xcent starts at just Rs 5.85 lakh for the base diesel making it cheaper than the Dzire and Amaze by Rs 40000 and Rs 60000 respectively, this is a huge difference, especially for the entry level variant. However, the car scores only in terms of slightly more features and a value price, only the top end Xcent offers segment first comfort features. So if you are strictly looking at an entry level sedan at a super value price and don't mind compromising on performance, efficiency and dynamics the Xcent is the car for you. 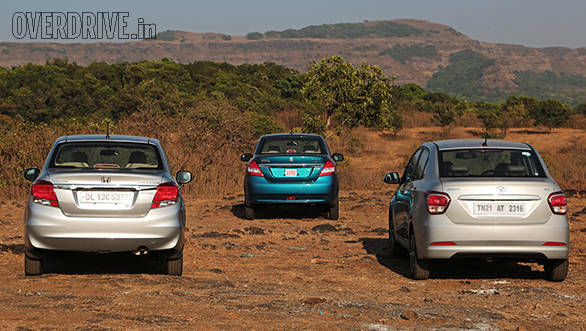 The entry level Amaze suddenly feels overpriced but the car is a better overall package and scores over the rest in terms of design, space, performance and fuel efficiency. The Amaze SX that isn't the top end variant even features ABS and airbags as standard and is almost Rs 45000 cheaper than the Xcent SX Option that is similarly specced in terms of safety features. So there you have it, the Amaze is still the car that finishes on top in this highly competitive segment.